The Halifax Greek Festival has been serving food to friends and our greater Halifax community for almost three decades. If you know anything about our culture, it’s that we have a great love of cooking and good food. 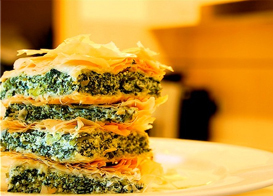 We invite you to enjoy the delicious taste of Greece, right here in Halifax. Our Festival offers a variety of authentic foods and sweets – made with love – by our own Greek chefs from recipes passed throughout many generations. Try one of our fan favourites like souvlaki, our Greek Plate (a sample platter if you will) or Halifax’s best donair (ok, maybe not from Greece but created by a Greek-Haligonian). And be sure to save room for some sweets – like a sweet piece of baklava – to end your meal.